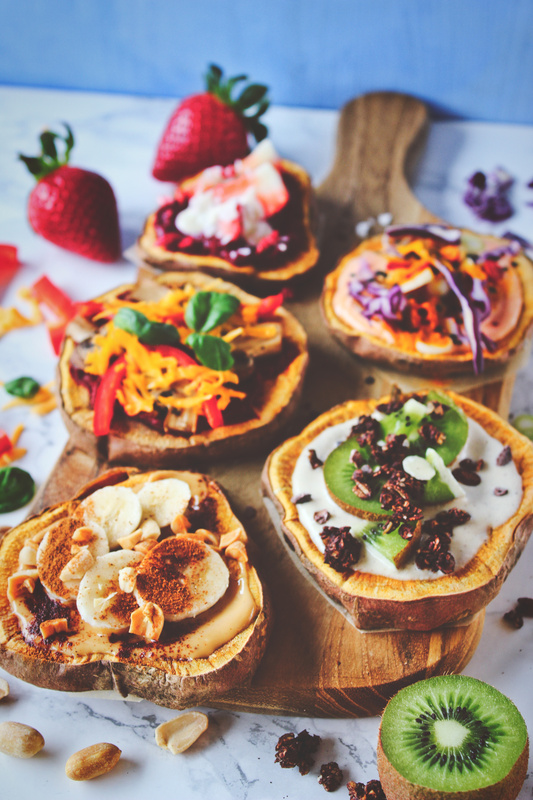 When it comes to mini sweet potato pizzas, there is an endless amount of combinations you can put together, both savoury and sweet. I think it’s fun to get creative with it and use whatever you have in the fridge at the moment as toppings. This is not really a recipe, but more an idea or just a general concept that you can customise and make your own in so many ways. It’s so easy and fun to make, but so tasty. 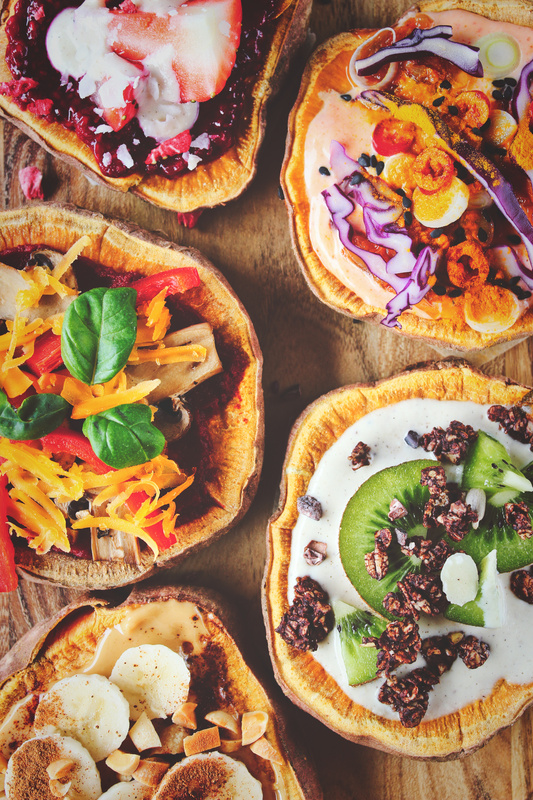 You can come up with so many different toppings for your mini sweet potato pizzas. In this blog post, I’m sharing five combinations that I really like, but I have so many more. If you wanted it, I could make another blog post with five more ideas in the future! If I had to pick my favourite from these five, it would be hard… but the sriracha mayo kimchi one actually really surprised me. It was so flavourful, so I definitely recommend you try it! 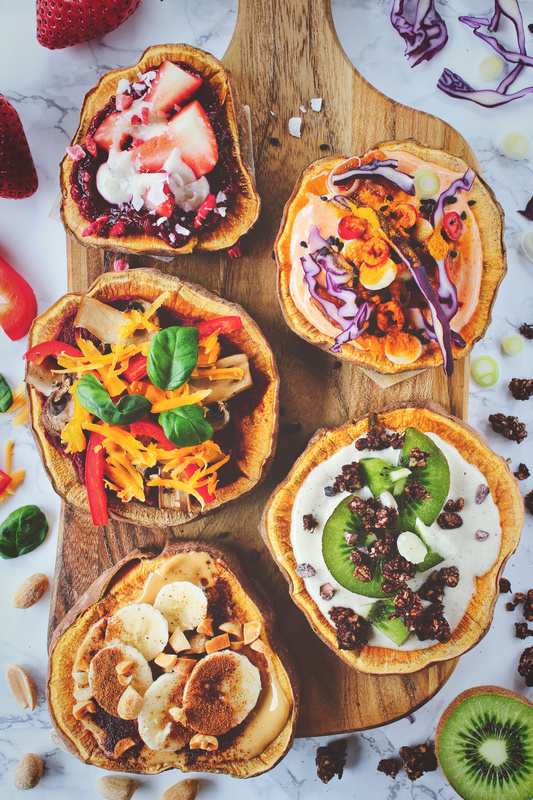 If you decide to try making mini sweet potato pizzas, wether you try my topping ideas or make your own, I’d love to hear your thoughts and see your creations. Leave a comment below, take a picture of your pizzas, and tag me on Instagram: @spirendeveganer. I hope you like this fun snack idea. Otherwise, take care until this Friday’s “real” recipe. You only need one ingredient for the crust… and if you haven’t guessed what ingredient, well, 1) you’re not very clever, and 2) it’s sweet potato! Preheat your oven to 200°C and line a baking tray with parchment paper. 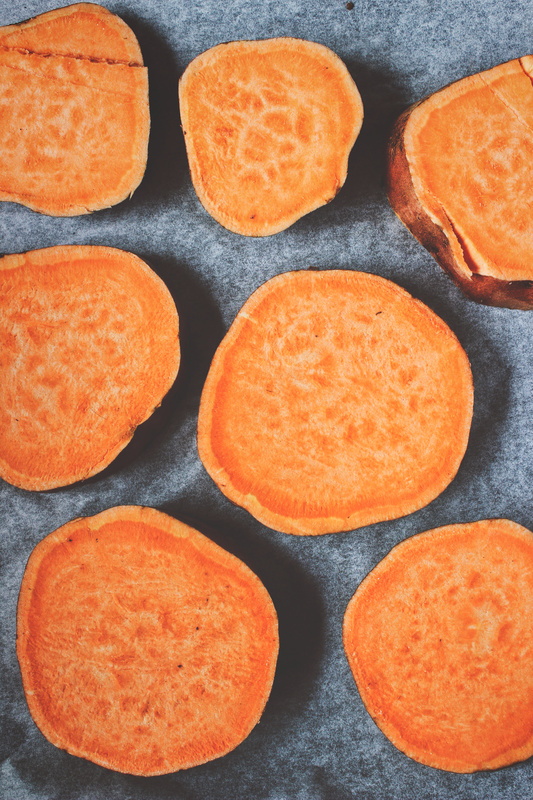 While the oven is preheating, cut a sweet potato into 1 cm/0.4″ slices. I recommend using the largest you can find. Cut as many slices as you would like pizzas. If you making enough for a snack, maybe 2-3 slices, and if you’re making enough for a meal, 5-6. 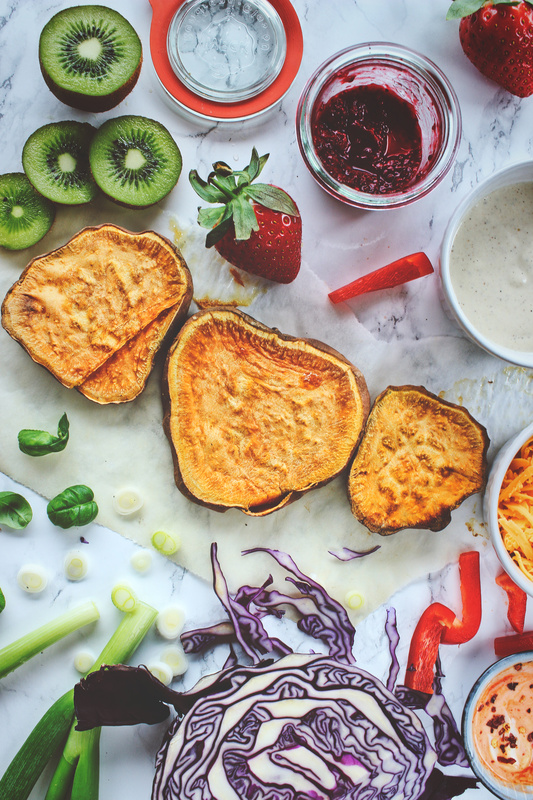 Place the sweet potato slices on the prepared baking tray and bake them in the oven for about 25 minutes or until tender. Once you’ve baked your pizza crusts, you’re ready to top your pizzas, or you can let them cool down depending on what toppings you’re using. Below I have five topping ideas for you, but I encourage you to get creative and try your own combinations! 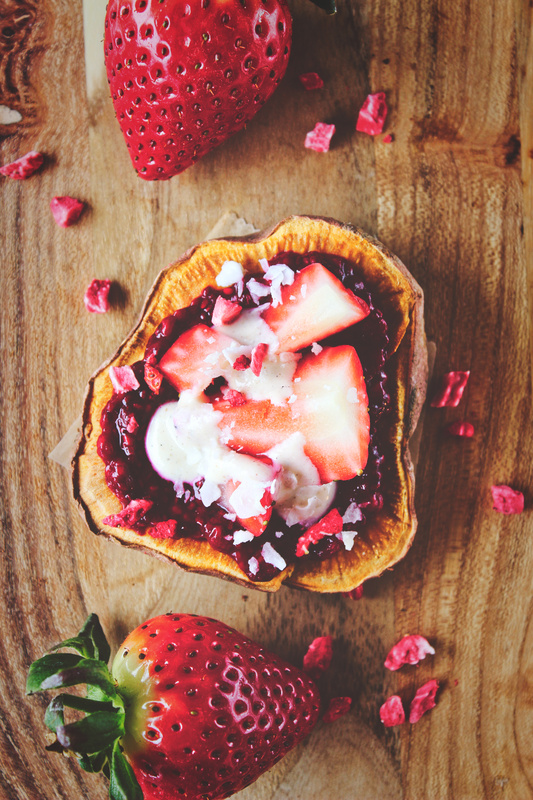 Spread some jam on your pizza crust, top it with strawberries, yoghurt, freeze-dried strawberries, and coconut flakes, and enjoy! So I accidently put ground turmeric on this pizza even though it was supposed to be dried red chili flakes… Well, we all know how healthy turmeric is, so I guess it’s all good! 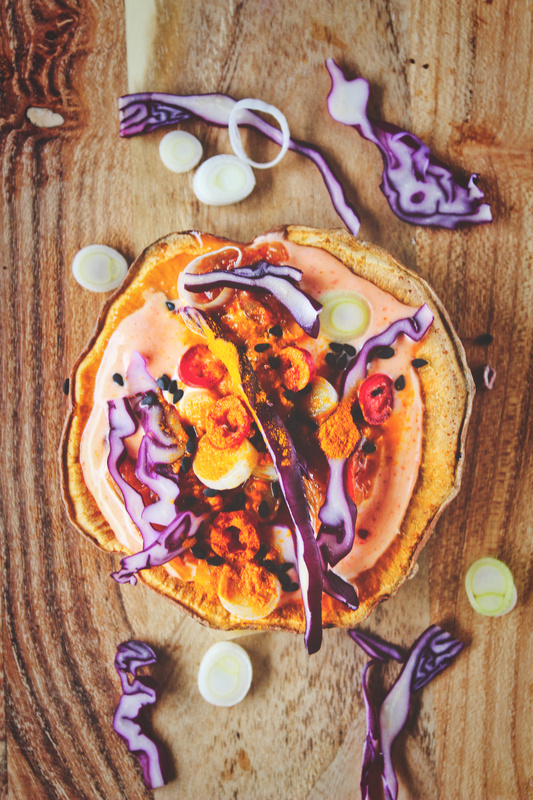 Spread some sriracha mayo on your pizza crust, top it with kimchi, red cabbage, green onion, chili, sesame seeds, and chili flakes, and enjoy! Add the mushrooms to a pan with a splash of water and fry them for a couple of minutes until they’re soft and the water has evaporated. 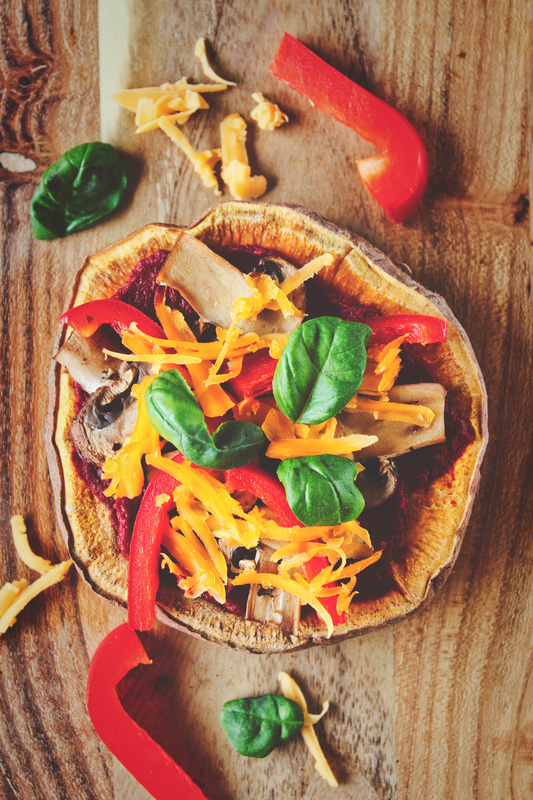 Spread some tomato paste on the pizza crust, top it with the cooked mushrooms, red pepper, and vegan cheese, and place the pizza back in the already warm oven (from baking the mini sweet potato crusts) until the cheese has melted. I actually found that the cheese melted better in the microwave, so you can also microwave it for 30-60 seconds. Top the pizza with basil and enjoy! 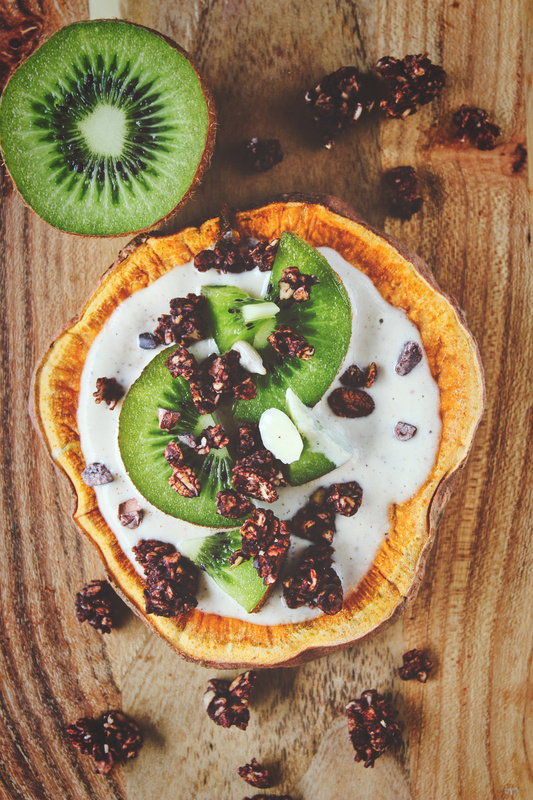 Spread some yoghurt on your pizza crust, top it with granola, fruit, and cacao nibs, and enjoy! 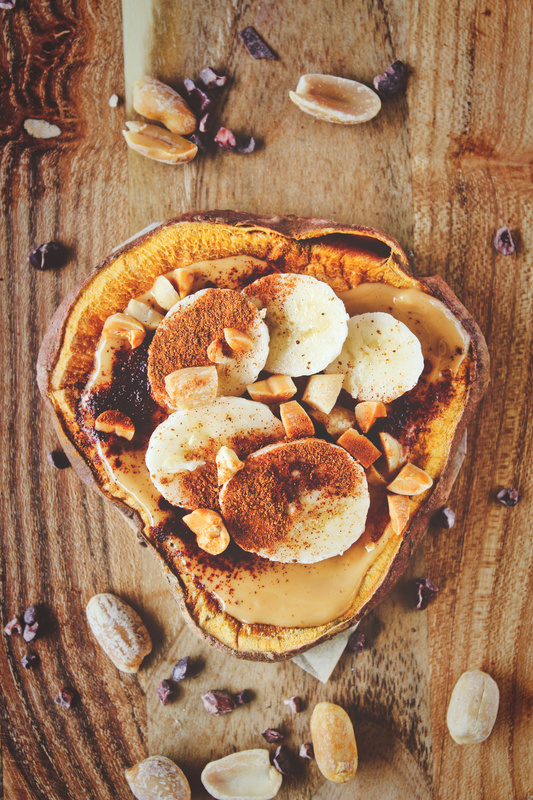 Spread some peanut butter on your pizza crust, top it with banana, peanuts, and cinnamon, and enjoy!